As part of the admissions process includes an interview with parents, it is a requirement that at least one parent is in attendance. In ESF schools, all children in a year group are born in the same calendar year. As the academic year runs from September to June and therefore does not coincide with the calendar year, children with a birthday between September 1st and December 31st may be interviewed for a year group which is different from the country they have just left. Please visit the ESF’s website http://www.esf.edu.hk/admissions-policy regarding admissions policy. For children eligible for the Year One intake, applications are processed at ESF Centre a year ahead of entry. This means that for children born in 2014 who are due to start in our school in August 2019, application forms will be accepted between 1 September and 30 September 2018 at ESF Centre. Full details of the application process are on the ESF website link below. Interviews for August 2019 applicants will be held in early 2019. 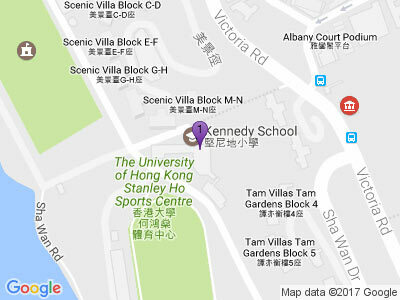 To be considered for admission into Kennedy School, you have to be residing in the catchment area. A student from overseas can only apply to the school of their zone for their expected area of residence in Hong Kong. Address proof is required once it becomes available. If you wish to apply for admission to Kennedy School, please visit the ESF website to apply online by clicking HERE.